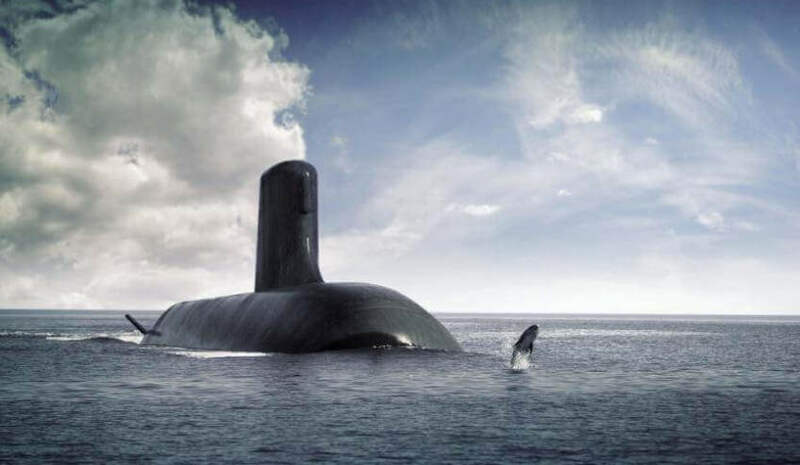 There are fears Australia’s naval industry sovereign capability could be under threat, with French firm DCNS declaring it will act as both architect and builder of the 12 Future Submarines, with no plans for contribution from Australia’s ASC Shipbuilding. In a Senate hearing last night, DCNS Australia's chief executive Brent Clark said the extent of ASC's contribution to the Future Submarine Program, at this stage, looks to only goes so far in the way of personnel, with no subcontracting for the government-owned company on the table. "We're working with ASC with respect to controlled measure of transfer of personnel from one entity to the next. ASC's obviously done a fair amount of work in terms of a ramp down process for their workforce, we're obviously doing a lot of work with a ramp up process and we're working together with the two companies," Clark said. "Quite simply from our perspective, ASC will be consumed by DCNS." South Australia's Minister for Defence Industries Martin Hamilton-Smith said the evidence presented to the Senate raises questions about where this puts Australia in terms of developing genuine sovereign capabilities. "The committee evidence certainly leaves ASC outside of the submarine building program," Minister Hamilton-Smith said. "The architect is building the sub, not an Australian builder. The big question that raises is where does that leave us in terms of genuine Australian capability at the end of the journey? "Will we retain the smarts and the intellectual property and ability to build submarines? Will it be a French government-owned company or an Australian company?" Senator Nick Xenophon, who was part of Tuesday's Senate hearing, said the evidence presented suggests Western Australia will absorb the work of sustaining the Collins Class fleet once the Future Submarine Project begins. "It’s now apparent that deep-level Collins maintenance will be shifted to ASC’s facility in WA when the build commences," Xenophon said. The recently released Naval Shipbuilding Plan confirmed that Defence are considering all options in relation to Collins sustainment and CEO Stuart Whiley revealed at Senate Estimates last month that their current 15-year sustainment contract is only being renegotiated for another five years. "That five-year contract will end at about the same time as the Future Submarine build," said Xenophon. "At that time, submarine full cycle dockings, an activity that employs 1,400 South Australians and generates at least $150 million of local annual economic activity, will be shifted to WA where ASC currently conducts intermediate and mid-cycle dockings. "Instead of a jobs bonanza, the Future Submarine Program may actually result in these jobs being lost for South Australia. The federal government has to be completely open with its long-term plan." Xenophon said his call for more transparency about the program is more relevant than ever, with evidence suggesting DCNS has known for well over a year that ASC would have no part to play in the Future Submarine Program, but the Senate, ASC and its workforce have been left in the dark. ASC issued a press released late Wednesday afternoon saying it looks forward to working with prime contractors and the government on the nation's submarine capabilities. "ASC has an enduring and critical role in growing and supporting Australia’s current and future submarine capabilities and looks forward to working with prime contractors DCNS and Lockheed Martin as well as the Commonwealth government, in this truly national endeavour," the release read. "ASC anticipates growing its workforce significantly in coming years as it maintains the Collins Class submarine fleet as well as meets increased demand for Future Submarine capability in Australia. "ASC’s maintenance of Collins Class submarines will be delivered through the In Service Support Contract, while current and future support for the Future Submarine program will be delivered under appropriate commercial agreements." While facing questions from Labor Senator Kim Carr, Clark also revealed a "gentleman's agreement" between himself and ASC CEO Whiley was in place to ensure no key players required on the sustainment of the Collins Class fleet would be poached by DCNS. "I’ve had a very long relationship with Stuart Whiley, the acting CEO of ASC, one of the commitments that we've given to the Department of Defence is that we will not impact on Collins sustainment in any shape, manner or form. So, I advise Stuart of any jobs that are advertised and if any applicants come in from a Collins background, we seek their endorsement to proceed with them," Clark said. "It's a gentleman's agreement that I have with Stuart just to make sure that we're not taking anybody out of his organisation that he requires for Collins sustainment." DCNS Australia was selected as the Australian government's preferred international partner for the design of 12 Future Submarines for the Royal Australian Navy. The first of the 12 submarines is likely to begin entering service in the early 2030s. Construction of the 12 new submarines will extend into the late 2040s to 2050 timeframe.